With The Smurfs currently riding the melting of the atmosphere all the way to the bank and a sequel, and nanite technology making significant progress on its self-generating assemblage of the next Yogi Bear, it’s time to look to the future of children’s movies. By which we mean, of course, look to the past and figure out which remaining Hanna-Barbera characters can be revived as a film where disapproving humans stare vaguely in the direction of CGI animals dancing and/or farting and/or fart-dancing. Or occasionally, knocking over their expensive possessions with their crazy kung fu shenanigans, as will no doubt be the case in Alcon Entertainment’s live-action/animated adaptation of Hong Kong Phooey, “number one super guy,” and number eight or so in line to be considered for an update after The Flintstones, Scooby-Doo, Yogi Bear, The Smurfs, The Jetsons, and Tom And Jerry. Hell, they’ve even talked about doing a Top Cat movie before this. Anyway, Hong Kong Phooey will feature the appropriately manic, affordable rasp of Eddie Murphy (taking over for the cartoon’s Scatman Crothers) and the equally manic and affordable direction of Alex Zamm, who overcame the early stigma of Carrot Top’s Chairman Of The Board to land in a cushy career of direct-to-video children’s movie sequels like Inspector Gadget 2, Dr Doolittle: Million Dollar Mutts, Beverly Hills Chihuahua 2, and the upcoming Tooth Fairy 2. Not that it matters particularly, but Brett Ratner will produce. 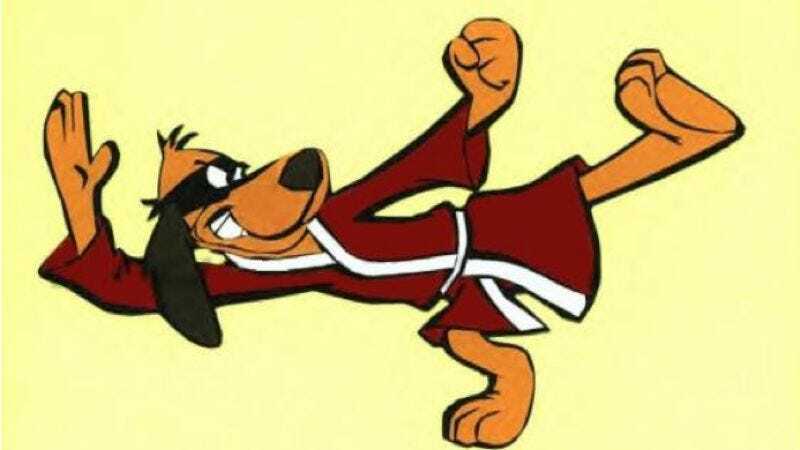 As in the original cartoon, Murphy will play a dog that for some reason is also a police station janitor, and who inherits magical kung fu powers after accidentally stumbling into a mystical ceremony. As with most modern adaptations of these things, expect the film to point out how dumb this is and, by extension, you are for seeing it. "I know, I know—but I've got kids," you'll say. "Dude, I know," Hong Kong Phooey will say. "We're all just trying to get by here. Hush now and try to get some sleep."